before we start the extracurricular activities. She has been wiped enough trying to adjust to all day school. We have done swimming lessons and church activities, and that’s about all I’ve felt like she’s up for handling right now. We even cut the swim lessons once school started. I know things are about to pick up sometime soon. Part of that, I’m sure, will be involving music. I have a background in singing and my husband is an amazing drummer. I have also done my share of musical theatre. My mom sings, and my dad plays the clarinet. My mother-in-law is amazing at the piano and both her and my father-in-law can sing. I think music is in the future. Abby, for sure, has an interest in being on stage and also in music. Kenzie also seems to show an interest. Even little Corban enjoys singing along with songs he knows. It’s good. I’ve been giving a lot of parenting advice straight out of “Brain Rules for Babies,” by John Medina because that’s what I’m reading right now. His advice is to provide your children with 10 years of music lessons. Apparently, kids with a background in music have a greater perception of emotions. There was even a study about how kids who study music can respond to the subtleties in a babies cry. 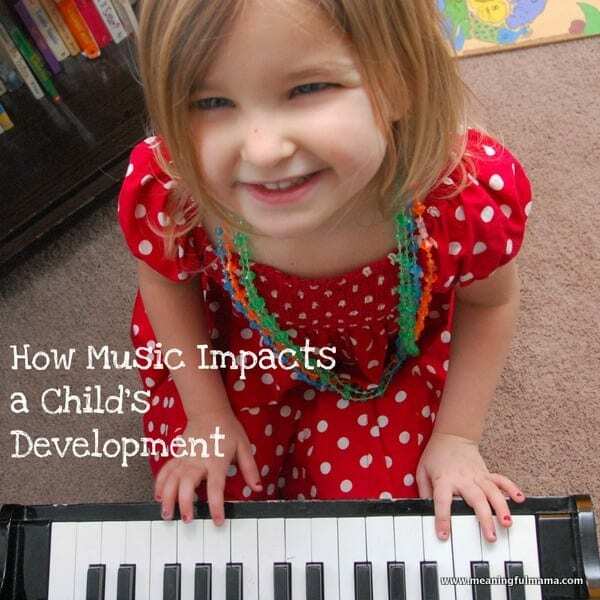 Being able to have a grasp of emotions does help children be more successful and content, so if music aids in the process, it is a great way to help their development. Beyond emotional benefits, there are also a number of other advantages in helping kids learn music including: improved concentration, perseverance, reading skills, listening skills, team work, motor skills (with an instrument), self-confidence, discipline, fun, creativity, self-expression, commitment and developing of a talent.